The Ford Escape has long been a leading choice for the compact SUV segment — and with a pleasing redesign for the 2020 model-year, it raises the bar even higher. The 2020 Escape delivers on many fronts, with its sporty new look, advanced multimedia and driving assistance technologies, robust engine options, and two new hybrid models. Get the 2020 Ford Escape at James Braden Ford in Kingston, Ontario! Buyers of the 2020 Escape have no shortage of powertrain options. The 1.5L EcoBoost engine generates 180 horsepower and 177 lb-ft of torque, while the 2.0L EcoBoost engine doles out 250 horsepower and 275 lb-ft of torque. For high-level efficiency and an eco-friendly ride, the 2020 Escape offers a hybrid and a plug-in hybrid model. The hybrid model has an estimated range of 550 miles (885 km), while the plug-in hybrid model has an estimated electric-only range of 30 miles (48 km). 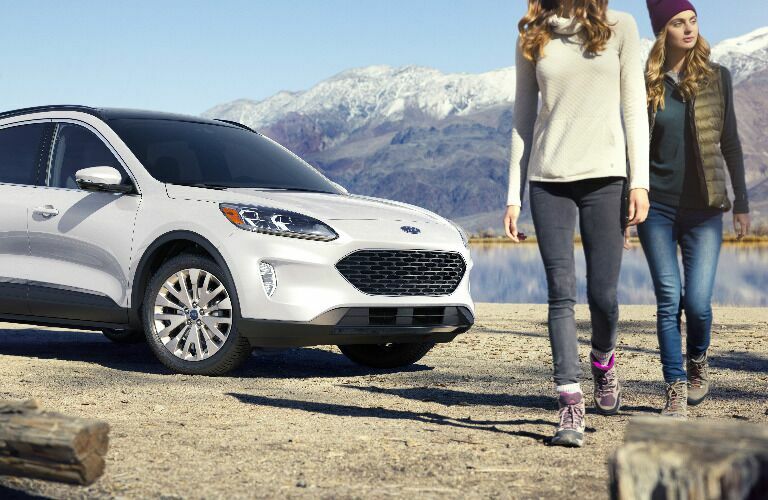 The gasoline-powered Escape models come equipped with an 8-speed automatic transmission, while the hybrid models feature an Electronic Continuous Variable Transmission. 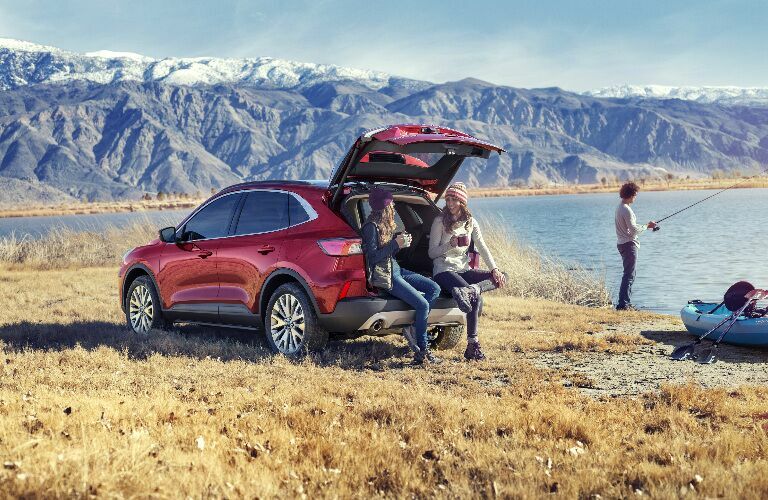 For confident traction, the 2020 Escape offers the Intelligent All-Wheel Drive with AWD Disconnect. You just might be turning heads as you pass on by in the sleek and sporty 2020 Ford Escape. It has a wider and lower stance compared to the outgoing model. It incorporates the Ford Mustang’s shield-shaped trapezoidal grille, while the lower front end was inspired by the Ford ST. 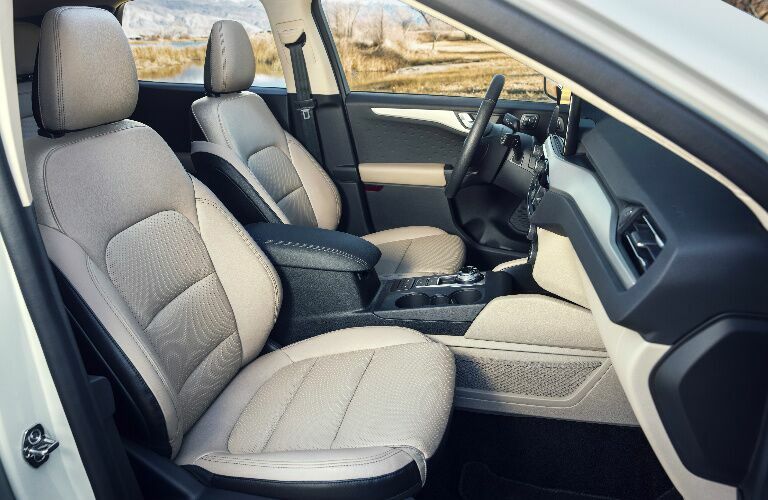 Inside the 2020 Escape, the cabin is filled with high-quality materials and offers plenty of space for the passengers, including class-leading second-row legroom. The 2020 Escape offers a plethora of advanced technologies. This includes the SYNC 3 infotainment system, Apple CarPlay and Android Auto smartphone integration, 4G LTE Wi-Fi with the ability to connect up to 10 devices, and the 10-speaker B&O Sound System by Bang & Olufsen. Also, the 2020 Escape offers many safety-enhancing driving assistance technologies, including Evasive Steering Assist, Active Park Assist, and Adaptive Cruise Control. Visit us at James Braden Ford and get behind the wheel of the all-new 2020 Ford Escape!